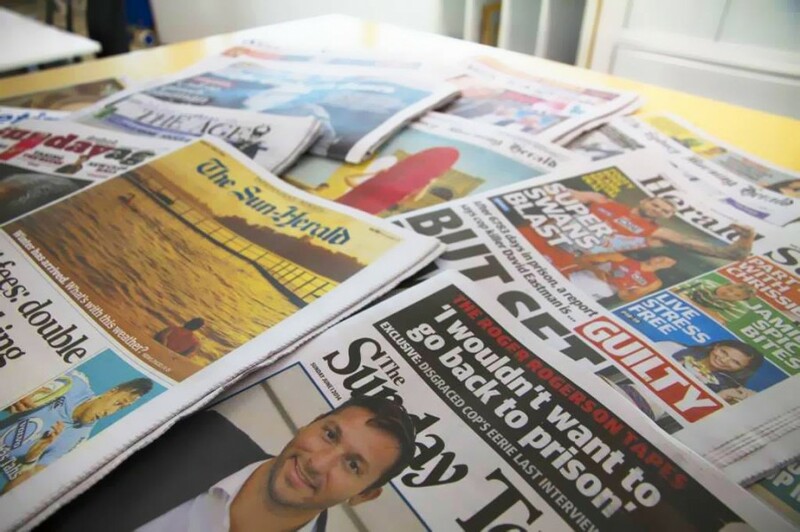 Newspapers remain the most popular platform for news media with more than three-quarters of Australia’s adult population picking up a copy, according to the latest emma (Enhanced Media Metrics Australia) data released today. Print newspapers reach 13.7 million, or 76% of the population. The total number of people consuming web and device-based news content totals 12.95 million, or 72% of the population. The total audience for news media is steady at 16.7 million, or 93% of Australians. For advertisers seeking business decision-makers, emma reveals that news media reaches 95% of executives responsible for business decisions worth more than $1 million. 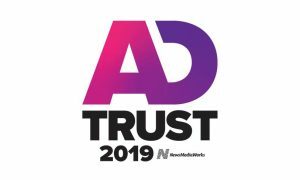 NewsMediaWorks CEO Mark Hollands said news publishers continued to deliver quality audiences, especially in the affluent and tertiary educated business community. Some 5.7 million read a finance section in print, according to the new figures, and a major segment of this audience is managers and professionals. The emma figures show that 3.8 million, or 96% of these executives, consume news media. 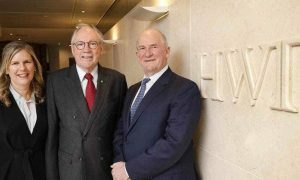 “The significant reader numbers delivered by news publishers is enhanced by the high-spending, quality audiences that advertisers seek,” Hollands said. emma reveals that 93% of business decision makers (2.9 million) are regular consumers of news media across an average month. Some 6.3 million readers have a tertiary education. Newspaper readers continue to be a more valuable audience than non-news media readers, with average personal incomes 49% higher than for non-readers and average household incomes 31% higher than non-readers. Metropolitan titles dominate the sector, reaching 63% of the population, or 11.3 million print readers. Regional newspapers attracted 3.4 million readers (19%) while national titles delivered a combined print audience of 2.35 million. 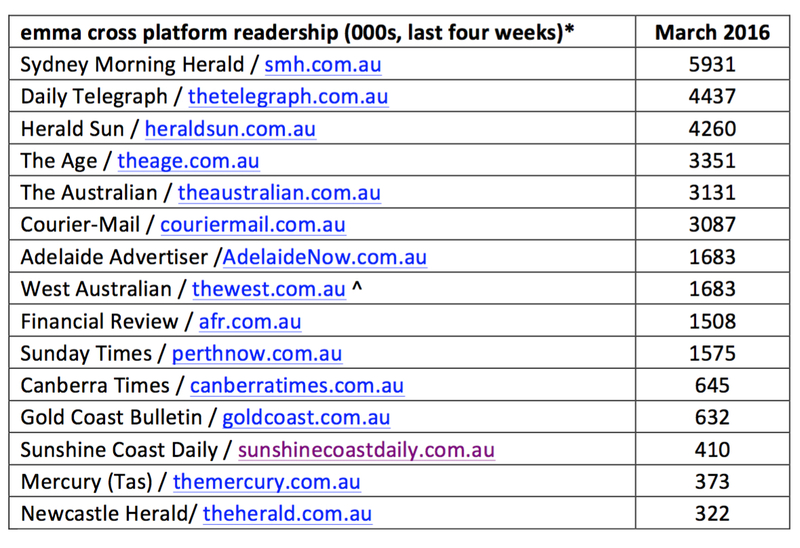 According to the emma data for the 12 months to March 2016, The Sydney Morning Herald finished on top as Australia’s highest-reaching title across all platforms with 5.9 million readers. The Daily Telegraphfollowed, reaching 4.437 million readers and the Herald Sun on 4.26 million. Source: emmaTM, 12 months to March 2016. Readership based on last four weeks. Trends compared with 12 months to March 2015. Survey conducted by Ipsos MediaCT, people 14+, Nielsen Digital Ratings (Monthly), March 2016. The emma data for the 12 months to March 2016 includes the new Nielsen Digital Ratings Monthly (DRM). This replaces the previous digital currency, Nielsen Online Ratings (NOR). Due to this change of methodology, there is a trend break in the data that means digital audience comparisons to previous periods are not valid. NB: With the recent release of Nielsen’s Digital Ratings (Monthly), thewest.com.au’s mobile and tablet audience is underrepresented. This is a result of restrictions in Nielsen’s methodology being able to capture iOS mobile secure sessions (HTTPS) due to privacy restrictions inherent to the operating system. This gap will be addressed by Nielsen with the launch of Digital Content Ratings in the coming months.